Just to cover something different. There’s a main road into the village in which I live which was once the only road, but there is now a by-pass. The local police do some speed checks in the village, once a week or thereabouts, normally in two different places ñ this one, and also another between the village and the next-door village in another direction. More often than not, they apparently send the day’s results to the local Neighbourhood Watch members. The last time that I was told about the activities and the reports, they recorded cars that were over the limit by a few mph, usually not blatant speeding, but just logged for the future. Today, though, they apparently logged 69 cars, of which eleven were ìnickedî. The road in question has one of those ìspeed you are travelling atî signs, just after the road flattens out as you enter the village, so there really is no excuse for getting caught like that, is there? Any thoughts on this Doc? Something entirely different, as you say! Actually, I have to confess (should I feel embarrassed about it?) 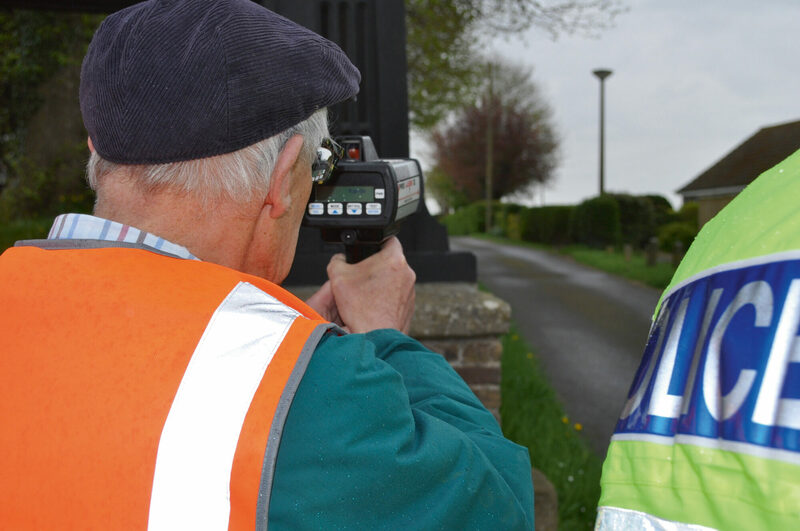 that, some years back now, I myself was involved in a village Community Speed Watch up in Cheshire, using our own (properly calibrated at regular intervals) speed gun, and I used to do it around once a week, along with a lady member of the group. What was interesting to me was the behaviour of the drivers in the various different makes of car. Whilst BMW and Audi were well up there with the leading offenders, Mercedes-Benz drivers were undoubtedly the biggest limit breakers, and usually quite arrogant with it. Many drivers used to slow down a touch when they saw us (although some didn’t even see us, I suspect), but the Mercedes-Benz drivers just used to cruise by without showing any reaction, and I’ll swear that some of them used to even put their foot down! It was a village notorious for speeding, and I was quite happy that I was doing my bit to fight back against the offenders, but driver reactions were variable. We used to take registration numbers and feed the results back to the police, who I believe used to write to any multiple offenders. We had occasional really negative feedback, and I remember one guy even stopping up the road and walking back to give us a real mouthful of abuse. He was, naturally, reported to the Police. Can you imagine what goes on in the brain of someone like that, probably most of the time when he was behind the wheel? I don’t think times have changed for the better since then, from what I see on the road. When I occasionally see TV videos of police cars chasing villains, and some of the crazy tricks that they try, like stopping at roundabouts and then ramming the police car behind them, it’s a very good job that I was never a policeman, as I wouldn’t be able to keep my hands off such vermin. And then they often get off with suspended sentences!